Golden colour in the glass. 13.5% alcohol. In the mouth, biscuity and rich fruit, balanced acidity and oak. Lively on attack, and creamy and taut on the mid palate with complex multiple further layers of flavour behind. It has the body to hold up and exploit a little age, and shows not a hint of oxidation. An exemplary wine, superb. 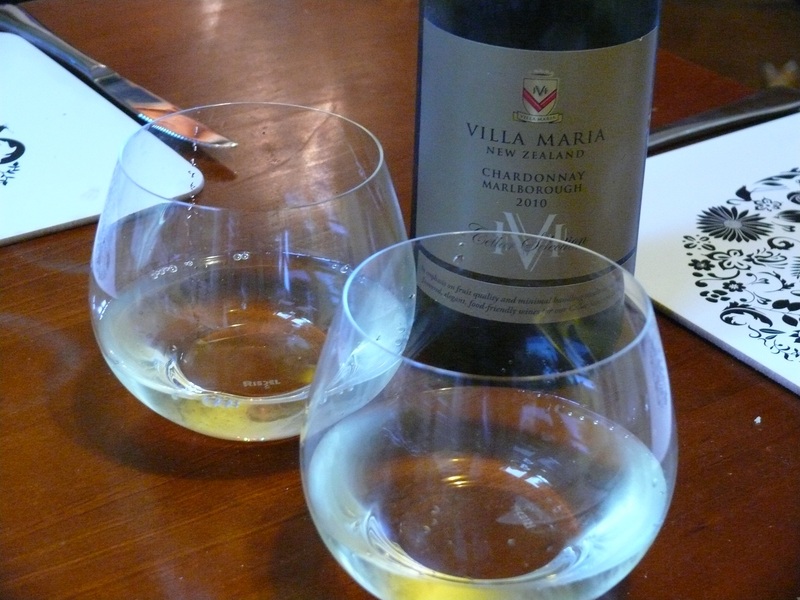 This entry was tagged $$, 13.5%, 2010, 5, Cellar Selection, Chardonnay, From the Cellar, Marlborough, Villa Maria, Wine of New Zealand. Bookmark the permalink. Just as well. I can’t afford Meursault!